Are you stuck inside with these freezing temperatures? Are you tired of looking at that same color on your wall? Are you fed up with mittens and hats thrown on the floor and you know it’s time to figure out a new organization scheme? Are you getting the urge to move all your furniture to a new configuration? Well, check out this fun tool! 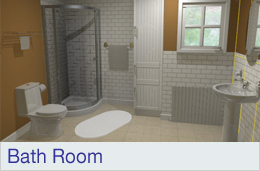 With the Lowe’s Virtual Room Designer, you can reinvent each room in your house, from top to bottom, online. You can start with one of their templates, or design your room from scratch. You can then mix and match colors and finishes until you find something that looks good to you. When you decide on your final design, save, print and get into your local Lowe’s store to get started. And don’t forget to call me and tell me about your ideas. As your Healthy Homes Consultant I can help you review the pros and cons of different finishes and furnishings to make sure they are the right choice for your lifestyle and your budget. And if you are looking to sell your home within the next 2-5 years, make sure you retain the market value of your home by keeping the changes in line with the tastes of a larger pool of today’s buyers. Categories: Uncategorized | Tags: Color, Consultation, Design, Healthy Homes, Home Finishes, Lowes, Market Value, Renovation, Virtual | Permalink.